Take your pampering session to the next luxurious level by enjoying an overnight stay at Luxe on Kensington, Perth. 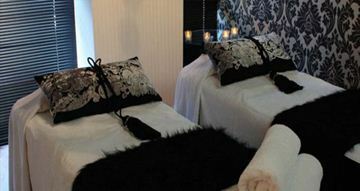 With a lush accommodation package and the choice between any 25 minute treatments available downstairs in the day spa, it is an ideal pamper gift certificate! This is a perfect gift idea for someone either living in or visiting Perth and is targeted for those wanting some time alone. Whether you want to spend a few hours with your partner or take your best friend for an afternoon of pampering, this Luxe package is for you! This package is tailored in a way that makes it perfect for couples needing an escape together or for two girlfriends looking for a luxurious pampering afternoon. It is ideal for an anniversary, Valentine’s Day or Christmas gift but can also be considered for a special Hen’s Night gift for a bride-to-be with her maid of honour. 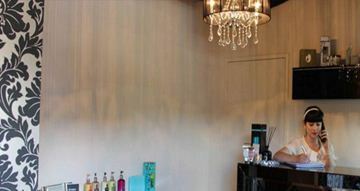 Pamper a lucky man with this relaxing and refreshing facial at Luxe on Kensington in Perth. Whether you’re browsing for yourself or someone else, this men’s facial package is an ideal treatment to pamper the skin. This is a gorgeously relaxing facial suitable for any woman, regardless of her skin type. Whether it’s for her birthday, Christmas or any other occasion, this is a very welcome gift idea. This is the only pampering package you need if you desperately need a few hours alone to treat yourself, available in Perth. Luxe on Kensington is a one of Perth’s most luxurious day spas providing guests with boutique accommodation and a range of spa options to cure any ache. Luxe on Kensington is in East Perth, just a short stroll from the popular dining strip and only minutes from Perth’s CBD. 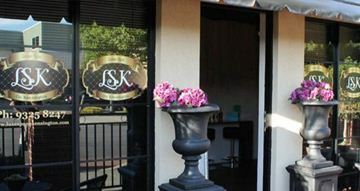 Treat a deserving mum-to-be with this pampering package from Luxe on Kensington in Perth. 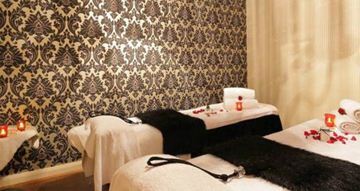 Luxe on Kensington is a one of Perth’s most luxurious day spas providing guests with boutique accommodation and a range of spa options to cure any ache.